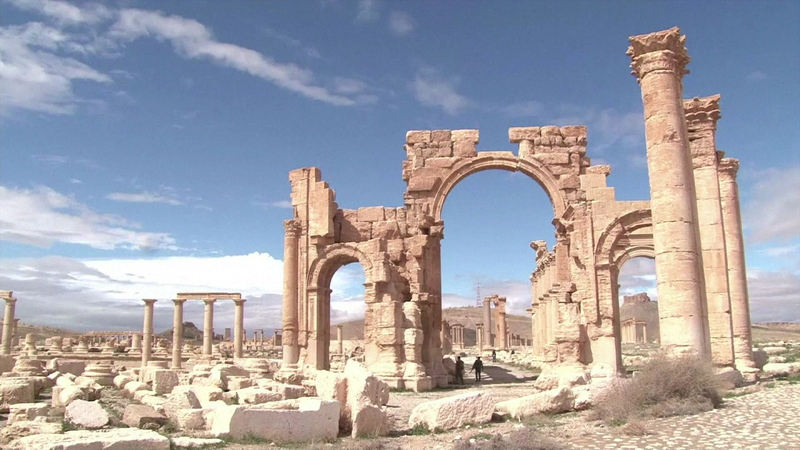 BEIRUT -- Syrian state media and an activist group say that Islamic State of Iraq and Syria (ISIS) extremists have beheaded one of the country's most prominent antiquities scholars in the ancient town of Palmyra. State news agency SANA and the Britain-based Syrian Observatory for Human Rights say ISIS beheaded 81-year-old Khaled Asaad on Tuesday in a square outside the town's museum. Asaad looked after the Roman ruins in Palmyra and had spent more than 50 years working on the site, the BBC reports. He was taken hostage by ISIS earlier this year after the group took control of the UNESCO World Heritage site, according to the BBC. In May, ISIS captured Palmyra, home to one of the Mideast's most spectacular archaeological sites - a well-preserved, 2,000-year-old Roman-era city at the town's edge. Maamoun Abdulkarim, the head of the Antiquities and Museums Department in Damascus, told SANA that Asaad's body was later taken to Palmyra's archaeological site and hung from one of the Roman columns. Abdulkarim said ISIS has tried to get information from Asaad about sites of the town's treasures without success. "The continued presence of these criminals in this city is a curse and a bad omen on (Palmyra) and every column and every archaeological piece in it," Abdulkarim told the BBC.